In this issue of Motorsport News : ‘He did it on purpose’ Belgian GP drama. Hamilton left fuming after Rosberg clash. 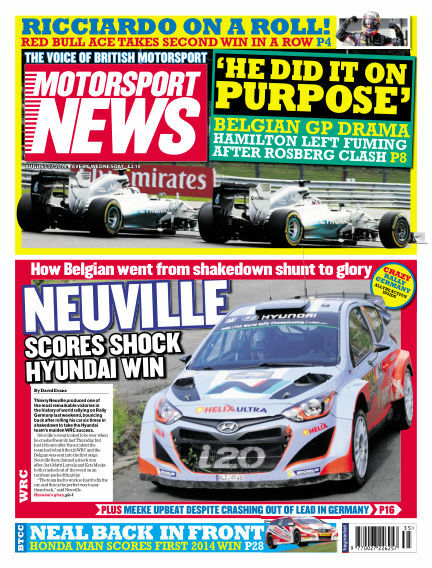 Neuville scores shock Hyundai win. With Readly you can read Motorsport News (issue 27th August 2014) and thousands of other magazines on your tablet and smartphone. Get access to all with just one subscription. New releases and back issues – all included.